Jupiter is the largest of all the true planets, so it’s no surprise that this giant represents expansion, growth, and optimism. 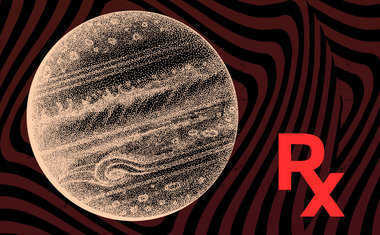 Jupiter is a lucky planet known to bring us good fortune. It seeks grand truth and meaning, and is associated with the higher mind, philosophy, and religion. 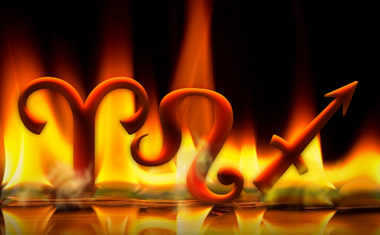 When a big planet like Jupiter finds itself in a fiery, prideful sign like Leo, we can expect dramatic things to happen! The world will feel the effect of this powerful combination while the planet of abundance moves through Leo, the Lion, the sign ruled by the magnificent Sun. Jupiter has an overwhelming presence that can range from optimistic to philosophic to judgmental, while Leo is known to be a fierce leader with a flair for theatrics. When these two join forces, we have an opportunity to stand up for our beliefs and let our voices be heard, but if we’re not careful, our shout for justice can turn into a loud cry for attention. Want to know if YOUR Jupiter is in Leo? Find out with a FREE Essential Birth Report sample now. At its most innocent, Leo can be an incredibly fun and playful sign! Jupiter will thrive and have a strong, positive influence while it moves through expressive, creative Leo. This transit may bring out our inner artist and allow us to pursue the activities and interests that stimulate our spirits. We’ll throw ourselves into the things we love and feel a renewed appreciation for the things we’ve forgotten. This is an opportunity to find profound joys in all areas of our lives. Intense and loyal, Leo is a fiercely loving sign that rules the heart, and while Jupiter is in Leo, our hearts have a chance to open up and grow to their maximum capacity. We’ll be able to be vulnerable and take chances in our love lives that we haven’t before. 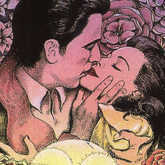 This energy isn’t just loving ... it’s romantic! 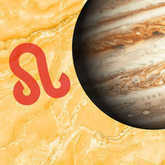 Jupiter in Leo is generous on a grand scale, and it’s quite possible that we’ll be swept off our feet during this time. Leo is a passionate sign associated with bravery and expression, and Jupiter’s presence is known to amplify the traits of the sign it occupies. 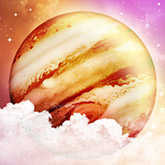 So when Jupiter is in Leo, we may find ourselves puffed up with courage and eager to fight for our values and beliefs. We’ll be willing and excited to make positive changes not only in our own lives but in the world at large. During this transit, we’ll be brimming with self-confidence, which will end up being both our driving force and our biggest character flaw. Jupiter in Leo could be a time of excessive glorification of the ego. Pride in oneself is healthy, but boundless pride is a blinding light that darkens, rather than illuminates. Between Jupiter’s expansiveness and Leo’s love for leadership, there’s a likely chance that we become bossy and controlling. This can be a time of "bread and circuses," when meaningful questions are buried in the noise of spectacle. Peaceful inquiry and gentle conversation may not come easily when bombast rules. When Jupiter turns retrograde, the normally outgoing and optimistic energy it emits gets quiet and asks us to reflect. Jupiter advocates for idealism, forward momentum, and new opportunities. However, when it takes a trip backward in the sky, it’s a chance for us to pause, re-evaluate, and ask tough questions about where we are and where we’re headed. Jupiter’s retrograde through Leo may be a particularly challenging time for us as we contemplate our happiness and reconsider what really brings us joy. Are we acting on our beliefs and values? Are the goals we’re working toward what we really want? Are we doing things because they will make us happy, or to make others happy? These questions might shake us from our roots! While they’re vital to ask, they may leave us ho-humming at many of the things and activities that used to define us and be part of our daily lives. Love hard, play hard, lead hard! As someone with their Jupiter in Leo, you have a big heart, childlike wonder, and a sensitive ego. You’re known to be boldly expressive and sometimes your emotions get the better of you. It can feel like you’re caught on a rollercoaster of glorious highs and dramatic lows, and you can’t always keep up. It may be your outgoing and charismatic personality that draws in others, but it’s your strong, unwavering beliefs that make them want to follow you. Whether you’re on a stage, a soapbox, or amongst a group of friends, you have firm opinions and a grandiose way of speaking that makes people line up behind you. Use your powers of persuasion wisely and humbly! You love with your whole heart. Hobbies, passions, and people are all objects of your intense affection -- and you don’t let go easy. You’re loyal and are willing to stand by those who stand by you. However, if those feelings of love and appreciation are betrayed, the world will see how sharp your claws really are. 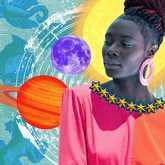 With the planet of abundance looming in the mighty sign of Leo in your chart, you’re bound to push your confidence to new heights. This may cause deep pride and stubbornness that prevents you from admitting mistakes. Work hard to embrace humility and you’ll be able to grow, learn, and become an incredible influence to those around you.